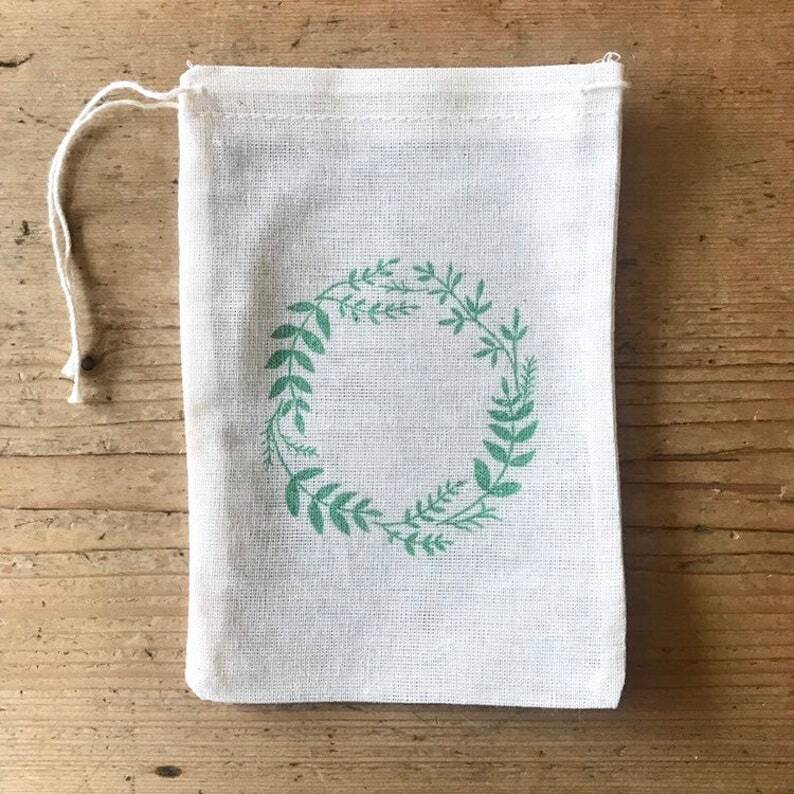 Wreath Laurel Leaf stamped favor bag to use as a wedding favor or gift bag. International Shipping: Customs charges for international packages are not included in the cost of shipping and will be charged to the buyer in the country of destination. Items (except international orders, custom orders and custom colors) can be returned within 7 days of receiving the item. The item must be unused and still in the packaging. The item will be shipped back at the buyer’s expense and the refund will only be for the cost of the item. Please note shipping will not be refunded. ALL RETURNS WILL HAVE A 15% RESTOCKING FEE - this will be deducted from the return issued.